It's been more than a year since I first saw Mitch Albom here in the Philippines. It was a once-in-a-lifetime experience that gathered together some of his fans for a chance to meet and greet him. Literally rubbing elbows with the author was a surreal experience, because for one it is the first time that I have seen in person a favorite author of mine. During said event the author discussed his latest and previous books. He also gave some hints on his next book, which you will see has been officially titled and the official release date has been set as well. Read on to know more details about Mitch Albom's latest novel, The Magic Strings of Frankie Presto. Check out the cover of The Magic Strings of Frankie Presto by Mitch Albom. He makes records. He is adored. But Frankie Presto’s gift is also his burden, as he realizes the power of the strings his teacher gave him, and how, through his music, he can actually affect people’s lives. At the height of his popularity, tortured by his biggest mistake, he vanishes. His legend grows. Only decades later, having finally healed his heart, does Frankie reappear just before his spectacular death—to change one last life. With the Spirit of Music as our guide, we glimpse into the lives that were changed by one man whose strings could touch the music—and the magic—in each of us. 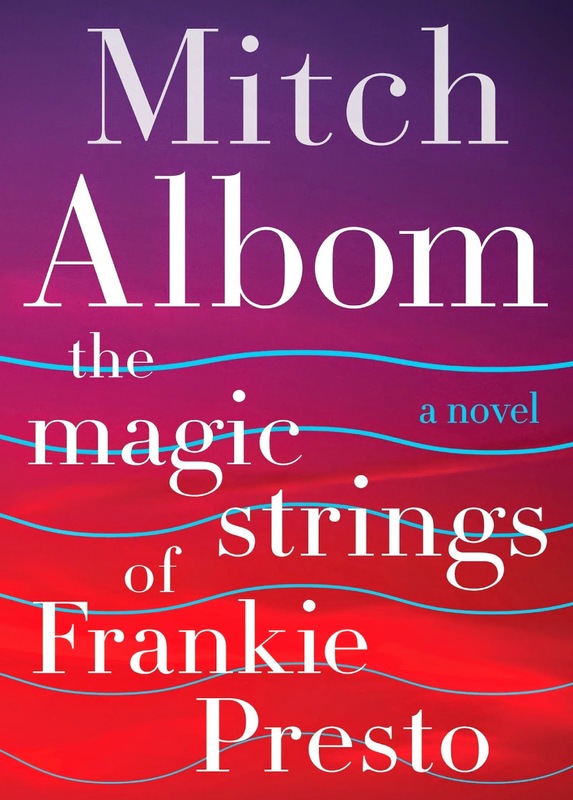 The Magic Strings of Frankie Presto by Mitch Albom will be released on November 10, 2015.